It was my daughter’s “Father Daughter Dance”. My husband wanted a tie to go with her dress. Her dress was a unique purple/pink to it so it was hard to find a matching color but we found one kind of close to it. It had some Black velvet flower design that my husband didn’t like. He wanted me to sew it with the floral as the wrong side. This made it fun for ironing out. 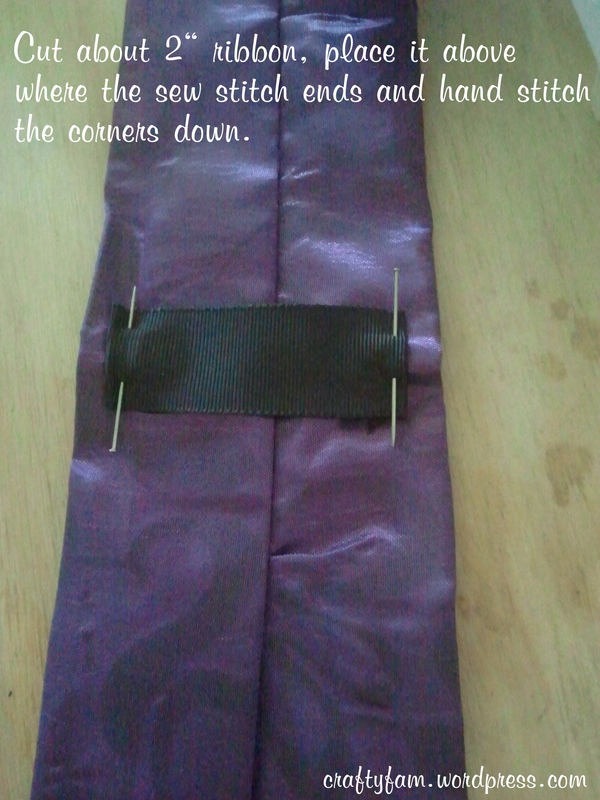 Sew but leave a 3″ opening so you can turn it out. 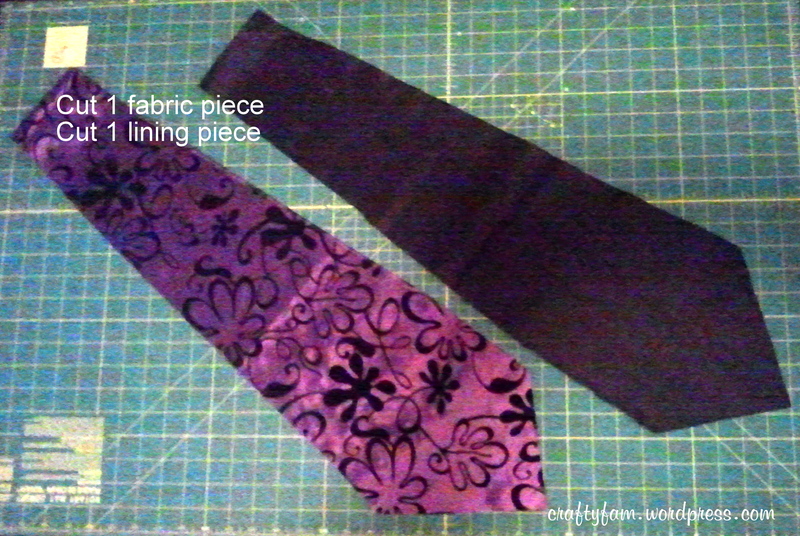 Try to sew close to edge so you can turn it out easy. I didn’t and I had the hardest time turning it out. 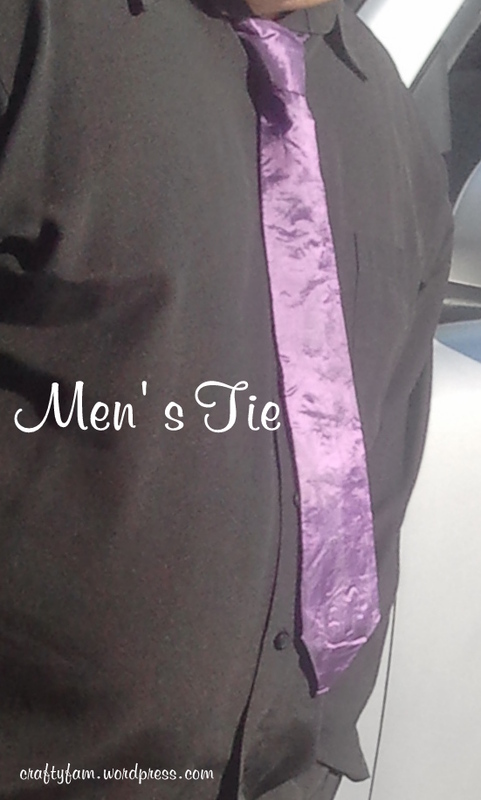 This ribbon is where the big part of the tie is at so the little side goes in it to stay in place. 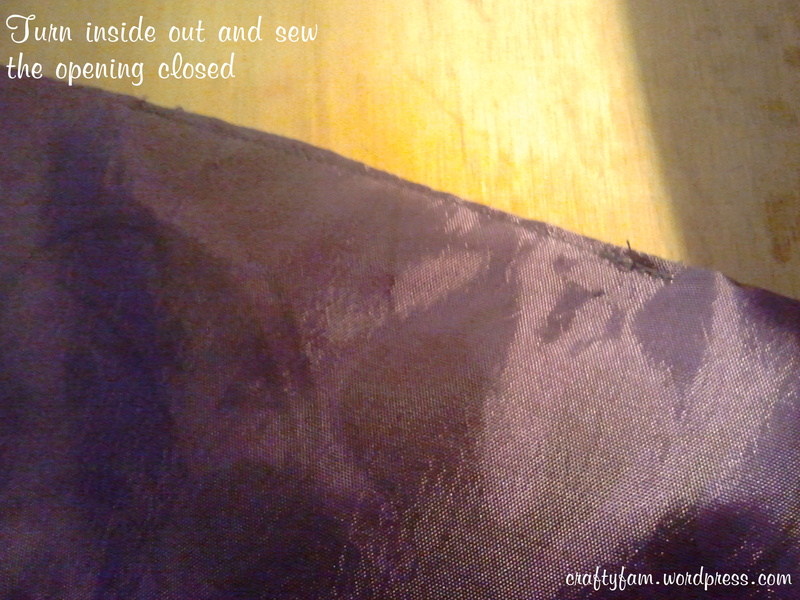 Make sure you do not sew all the way through to the other side. 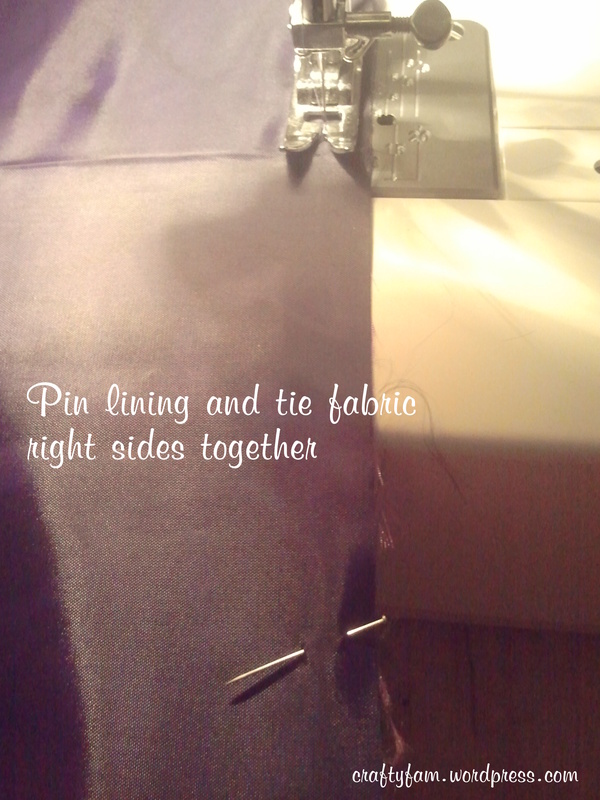 Sew only to the lining. Put your finger in the tie to help. 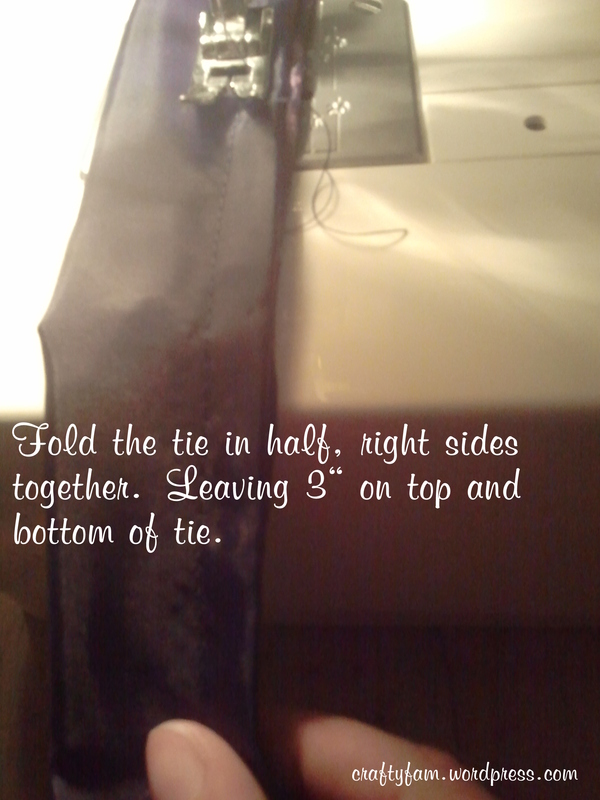 When done do a small hand stitch on both ends where the sew seam stop. This helps by putting less strain on seam.